All About Canadian History – …except not really. More like bits and pieces. November 11th, 2018 at 11:00am marks the 100th anniversary of the end of the First World War. Beginning on July 28, 1914, “the war of end all wars” eventually spread to the far corners of the earth, embroiling much of the world in–still to this day–one of the deadliest conflict in history. The Welland Historical Museum has a new, interactive shipwreck exhibit about the HMS General Hunter. 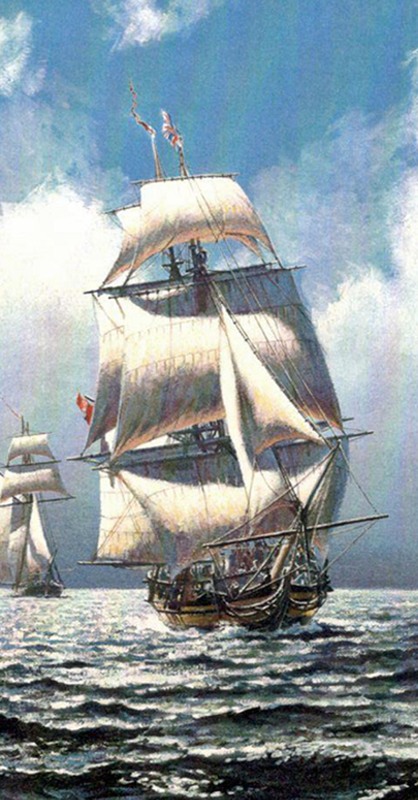 The British Royal Navy 10-gun brig (built in 1806) played an active role in the War of 1812, including in the capture of Detroit and the pivotal Battle of Lake Erie, where it was captured by the Americans. The General Hunter was used as a US Army transport ship until it was washed ashore in 1816 by a fierce Lake Huron gale. Later, the ex-warship was ransacked and burned. 185 years later, the General Hunter was rediscovered as a shipwreck on the Southampton Beach in Ontario. Cartography Series: Because who doesn’t love looking at old maps? This blog series looks at the cartographic development of Canada. 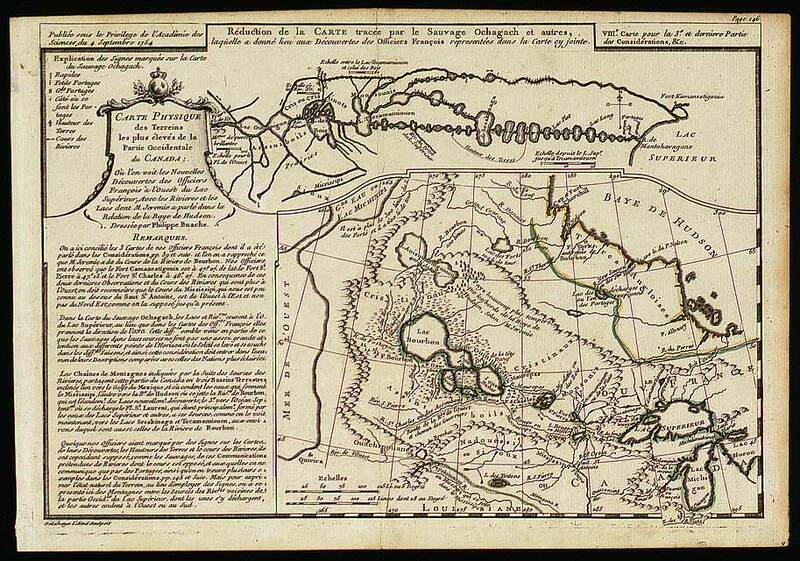 Carte Physique des Terreins les plus élevés de la Partie Occidentale du Canada (Physical map of the highest elevations in the Western part of Canada) by Philippe Buache (1754). *Blows dust off Cartography series. * It has been a while since I talked about maps so today we’re looking at Buache’s 1754 map. If you are totally confused by it, trust me you’re not alone. He had a habit of drawing interesting maps. Similar to the Arthur Dobbs and Joseph La France 1744 map, A New Map of Part of North America, it is best described as a stab in the dark at what Western Canada looked in. Born in 1700 in Neuville-en-Pont, France, Philippe Buache originally studied architecture, but Guilleaume Delisle (who I featured earlier on), took him under his wing and trained him in cartography. Buache actually married Delisle’s daughter. Although he went on to become the official cartographer and geographer for the French king Louis XV and joined the Academy of Sciences in 1730, historian George Kish contends that Buache is largely forgotten today. Overshadowed by his father-in-law and his successor, d’Anville, Kish argued this is a shame because Buache was a pioneer in thematic physical maps. Fun Fact: This image that Google likes to show is not Philippe Buache, but rather his nephew, Jean Nicolas Buache, who was also the premier géographe du Roi. In the mid-18th century, the area west of Lake Superior was relatively unknown to Europeans. There were two competing theories about the geography of Western Canada at the time and this map was an attempt to show both. As such, the map above is actually a two-in-one. The top is the east-west river flow as reported and mapped out by Ouchagah, a Cree man, for La Vérendrye, a French Canadian military officer, fur trader, and explorer. The bottom is supposed to be the northwest-southeast flow and a look at the possible geographic terrain. Despite the confusing nature of this map, not all of Buache’s geographic speculations were wrong. If you look at the second, bottom map you can see Buache has drawn both Alaska and the Bering Strait. Nevertheless, these two clashing maps illustrate the difficulty Europeans had in theorizing the shape and scope of Western Canada. Kish, George and Buache, Philippe. “Early Thematic Mapping: The Work of Philippe Buache.” Imago Mundi 28 (1976): 129-36. http://www.jstor.org/stable/1150630. Murray, Jeffrey S. Terra Nostra: The Stories Behind Canada’s Maps. 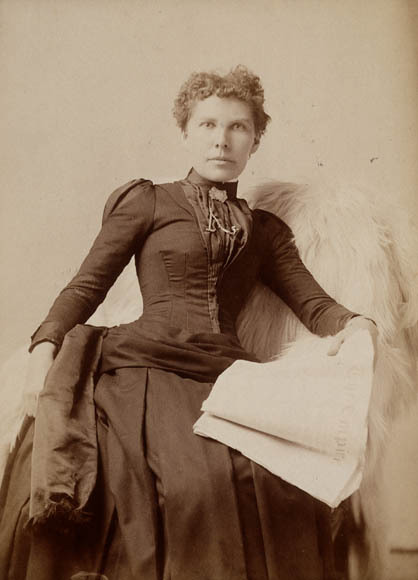 Kingston: McGill-Queen’s Press. (2006). Sick of hearing about Vimy Ridge? Too bad! I found this great nine minute film that can help teachers who want to bring World War I to life for their students. The story follows a Canadian woman who visits the Vimy Memorial to make a charcoal imprint of the engraved name of her great-grandfather who died during the battle. She has his notebook which is full of sketches and diary entries that he made during months of preparation for Vimy Ridge. These sketches turn into colourized archive footage and enables us to witness the daily lives of the soldiers of the Canadian Corps and watch the detailed preparations that went to this battle. WW1 battle footage is shown, maps are used to support explanations, you see Sir Arthur Currie walking around/making plans, the Nursing Sisters pop up—seriously this short film has everything. Looking for more Vimy Ridge resources? Check out my whole page dedicated to the battle. 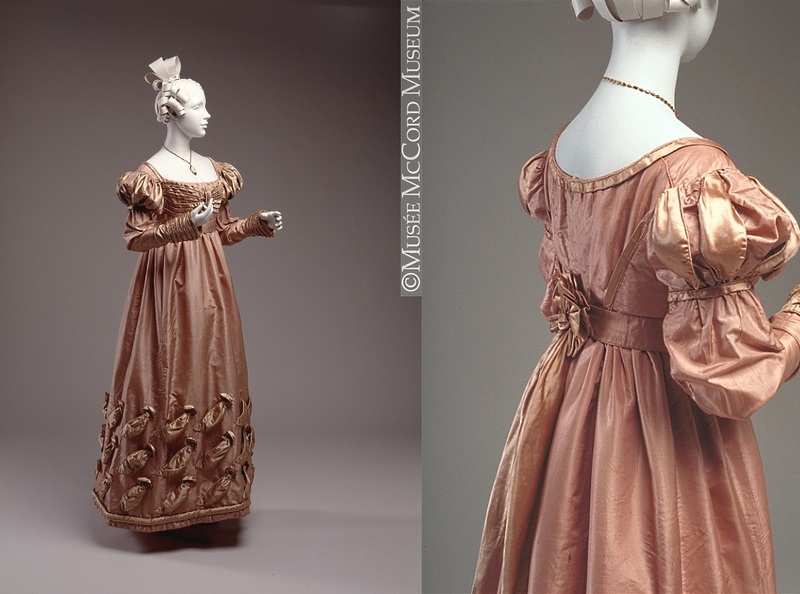 Fashion Flashback: Given that fashion was instrumental in the creation of Canada, this blog series explores the development of what Canadians wore one era at a time. 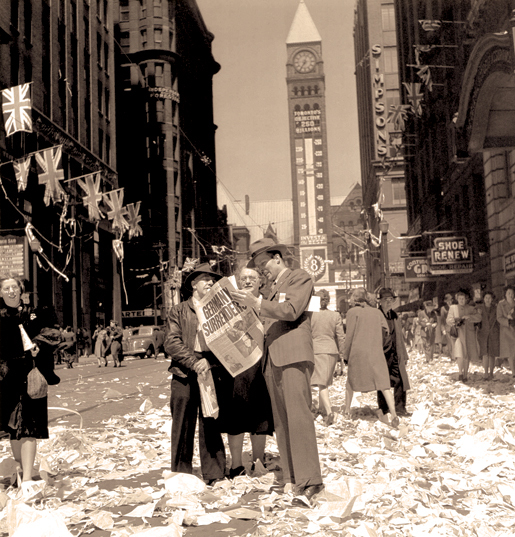 Torontoians read about Germany’s surrender on VE-Day. Old City Hall is in the background. 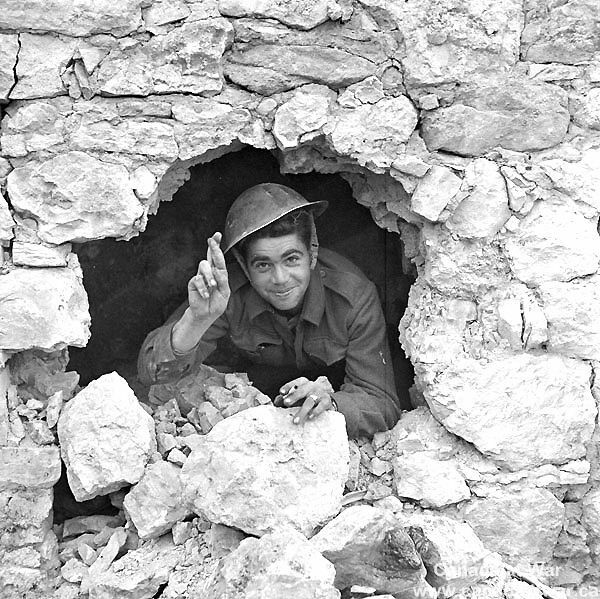 Ortona: Was It Worth It?